The sparsely populated Snæfellnes [snai – fel – snes] peninsula is known for its extremely diverse and dramatic landscapes. 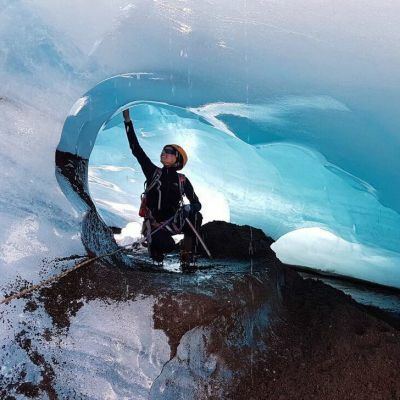 It has every conceivable kind of natural attraction that Iceland is famous for: a volcano, a glacier, lava fields, waterfalls, sea stacks, black sand beaches, and far more. This is precisely why the locals refer to it as “Iceland in miniature”. Despite its stunning beauty, this narrow finger of land whose name, in English means ‘Snow Mountain Peninsula’ is fairly underrated by tourists. The area sees significantly fewer visitors than the famous South Coast, this might well be because it is not on the ring road. 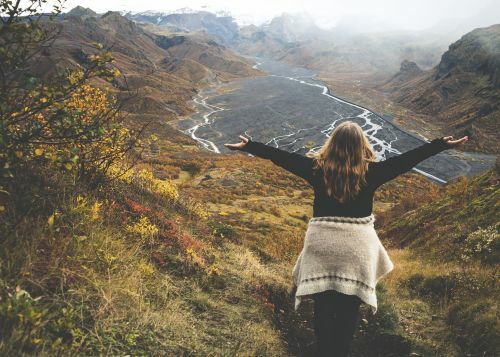 This is, however, perfect news for those who are looking to experience the unmatched atmosphere and beauty of the Icelandic countryside with fewer people and without having to drive for days to leave the most popular sites behind. 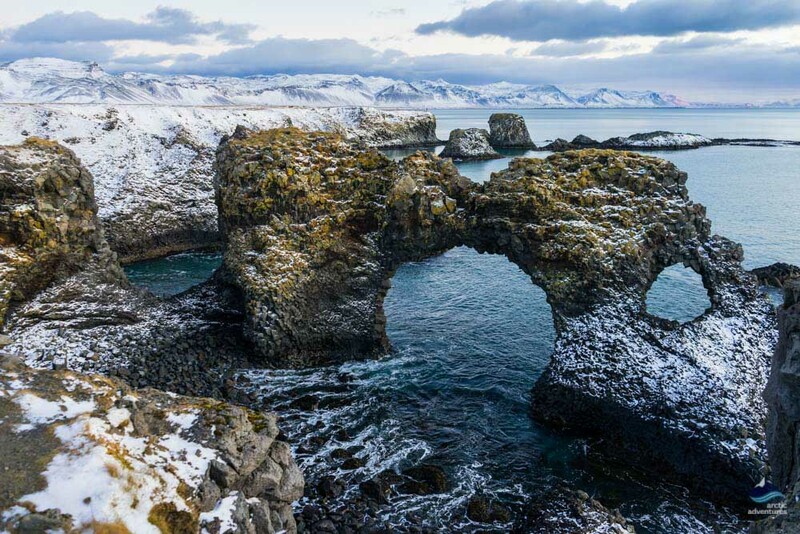 This 90-kilometer long peninsula is located just a few hours’ drive from Reykjavík towards the northwest. Wherever you stop along the way, pure beauty and magnificent silence are your constant companions. Since the Snæfellsnes area is truly not touristy, there aren’t so many dining options, especially along the southern coast of the peninsula. Fortunately, a few guest houses, hidden in the middle of nowhere, offer first-class service and gourmet local food. Adorable, tiny fishing villages entice travelers to stay and enjoy the idyllic countryside and fresh seafood that comes straight off the fishing vessels. You just have to know where to look for these marvelous places. Leaving Reykjavik and driving towards Snæfellsnes, after approximately an hour you will come to the town of Borgarnes. Many travelers stop at the gas station to stock up on groceries or have a meal before heading onto the remote peninsula. Grillhúsið ‘The Grill House’ is an excellent place to get a filling meal before the long trip. It is located next to the gas station and you can’t really miss it. The restaurant looks like a classic American burger joint, both inside and out. This simple but very friendly grill and fast food restaurant offer good and fresh food. The menu is comprised of classic courses: hamburgers, sandwiches, steaks, grilled chicken, and pork, pasta, pizza and fish. 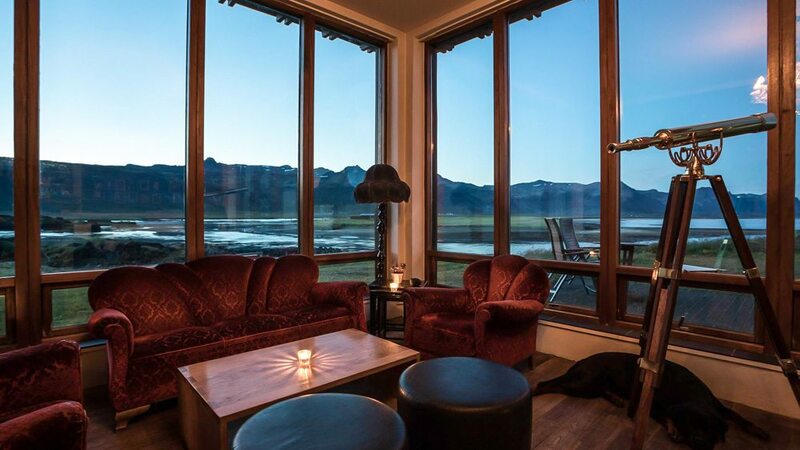 Rjúkandi Café and Restaurant is a hidden gem and an ideal place to either begin or end your trip around the Snæfellsnes peninsula. Whether you are looking for delicious homemade cakes by the housewife or a rich, tasty lunch, you can definitely find something here to your taste. This friendly hotel-restaurant got amazing reviews for their wonderfully presented and delicious local food, homemade cakes, and the masterful barista. After a long journey along the remote coasts, Langaholt, a lovely family-run guest house can be a lifesaver for hungry travelers, especially if they like fish. The interior is super cozy and the atmosphere is friendly and intimate. 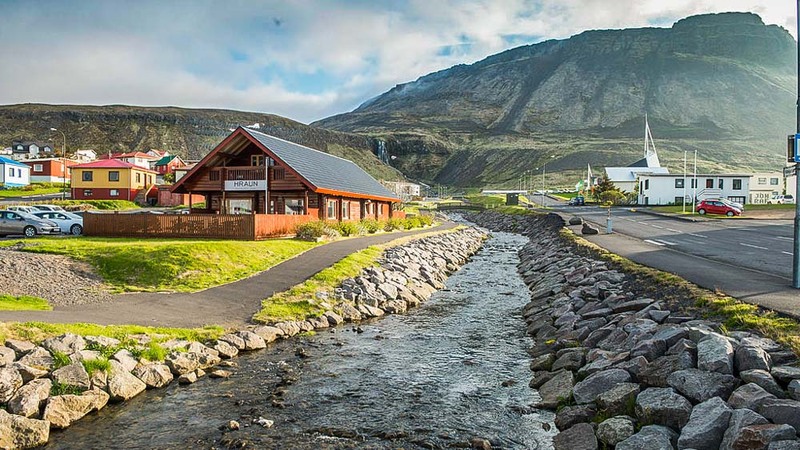 The guesthouse is located in a breathtaking setting, in the shadow of the majestic Snæfellsjökull glacier, making the views from every window absolutely priceless. “Nature provides, – we deliver” – so goes their motto. 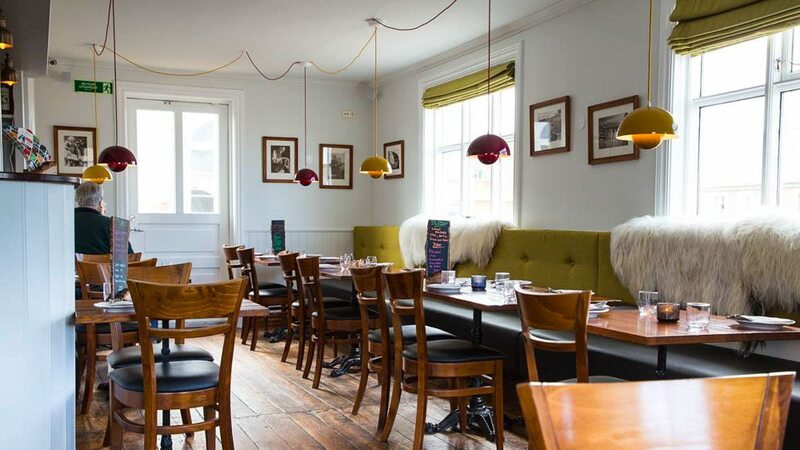 Their menu is based on the fresh catch of the day, which tends to be cod, catfish or monkfish but, of course, Icelandic lamb plays a leading role on the menu as well. Just some 15 kilometers from Langaholt, one of the best-known spots on the peninsula can be found, Búðir. A charming little black church sits in the middle of nowhere, surrounded by astonishing mountains on one side and the endless ocean on the other. There is only one other building apart from the church, the very elegant Hotel Búðir. 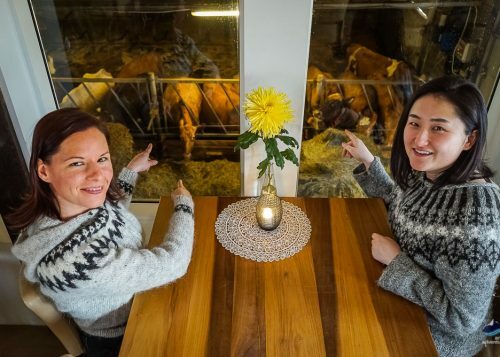 Their restaurant is considered one of Iceland’s best. It is widely renowned for its really unique gourmet fish and lamb dishes using fresh local produce. The menu is based around locally sourced and seasonal ingredients, combining a luxurious dining experience with authentic local cuisine. The views from the restaurant are just magnificent. If you’re lucky, a few seals might just show themselves while you are enjoying your meal. The next stops on the peninsula are Hellnar and Arnarstapi, two famous spots a few kilometers apart from each other. This is an area of extraordinary coastal attractions including columnar basalt and cliff formations. Arnarstapi used to be a fishing village, however, it would be completely uninhabited today if the recent boom in local tourism hadn’t kept a few families there. 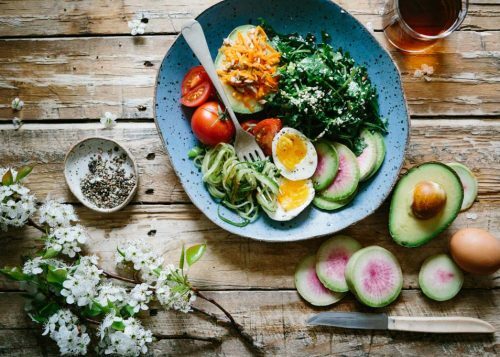 There are restaurants of all kinds to suit all tastes, so you can satisfy your appetite with delicious local food. Mönsvagninn, ‘The Munch Wagon’ is a simple food truck, but they offer fresh and delicious fish and chips. Based on their amazing reviews, both the quality and the quantity of the food will leave you totally satisfied. 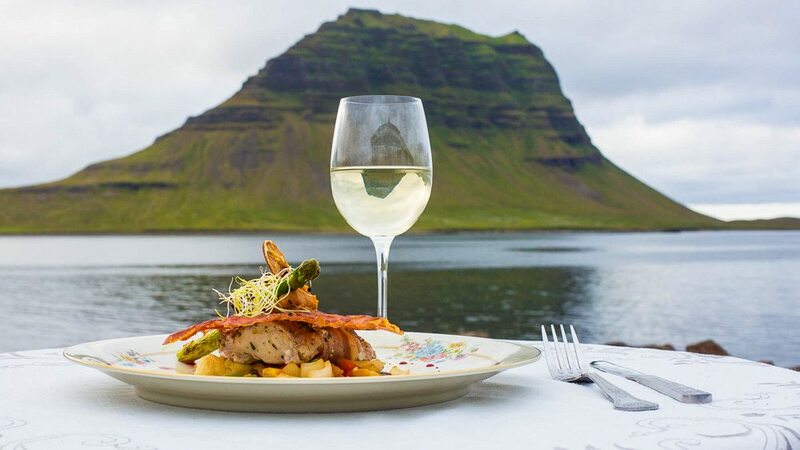 Fjöruhúsið, a small and intimate café and restaurant situated right on the best lookout spot, with a mind-blowing view of the black and rocky basalt beach. The 2.5-kilometer long hiking trail which leads along the coast to Arnarstapi starts right here. The restaurant offers excellent fish stew, fresh locally baked bread, pastries and desserts with homemade jam and whipped cream. 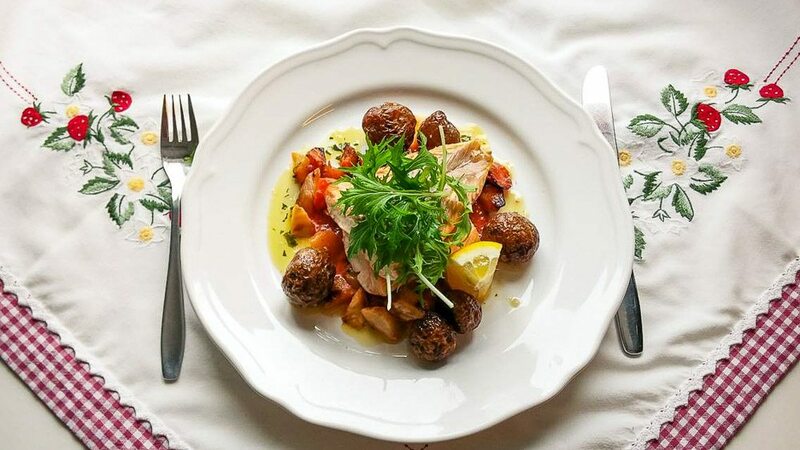 Fosshotel Hellnar Restaurant offers a more sophisticated menu and fine dining. Situated on a cliff above the ocean, the views are as beautiful as those at the previously mentioned places. 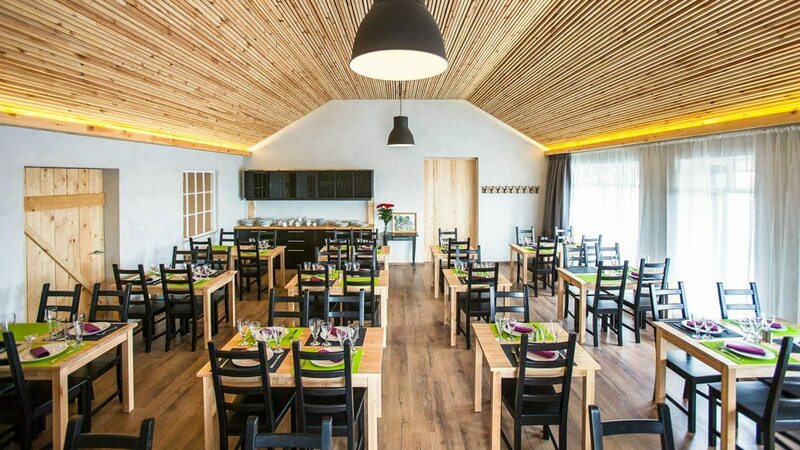 Viðvík is a fairly new but outstanding small restaurant on the edge of the peninsula next to a campsite. Mussels, lobster and all kind of local seafood and lamb are being served here. Their Tripadvisor reviews are absolutely amazing, and not because of the spectacular surroundings! Following the road, the next town you will reach is Ólafsvík, this is on the northern side of the Snæfellsnes peninsula. 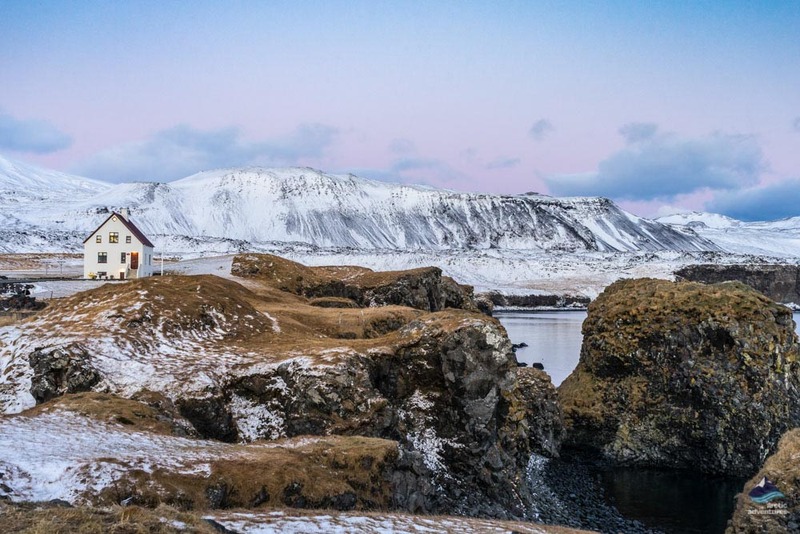 Between the 17th and 18th centuries, this village was one of the larger trading ports, handling the goods traded between Iceland and the Danish Authorities. Matarlist is a good place to try fresh local food in Ólafsvík. While the exterior of the restaurant is fairly basic, the interior is spacious and comfortable. 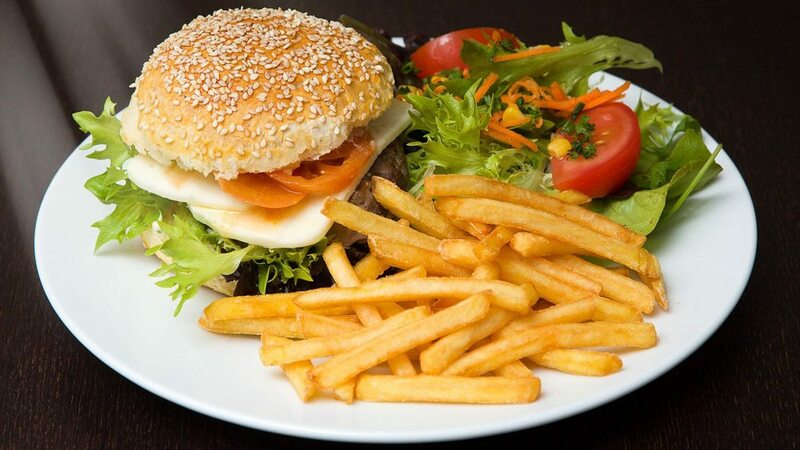 Only homemade dishes are served here, even the mayo with the burgers is freshly homemade. The head chef at this family-run restaurant is a professional with an amazing range of experience. 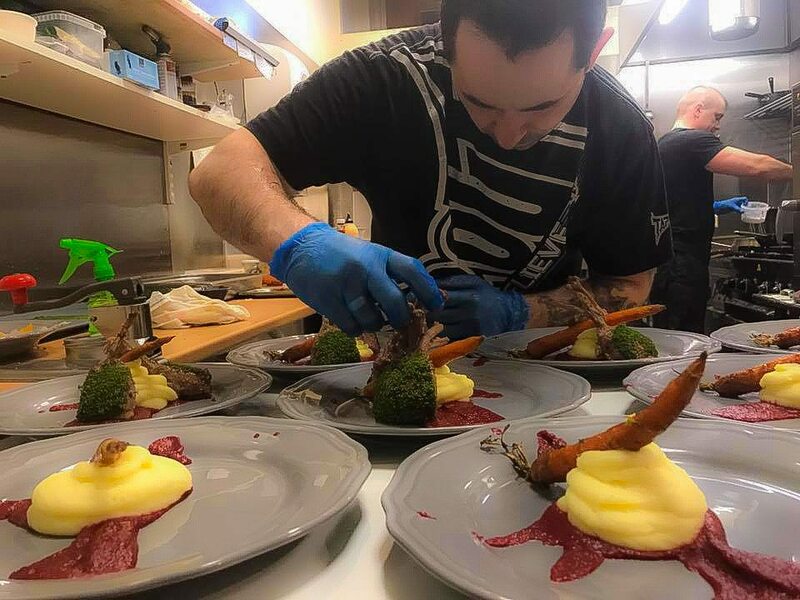 For instance, he was the head chef at Hotel Búðir for five years before quitting so that he and his wife could set up their own restaurant. The menu features a wide selection of fresh, locally sourced seafood which comes straight off the fishing boats in the neighboring town. The lamb fillet is, as expected, also local, as well as the salad ingredients, which are supplied by a local farm. Hraun Veitingahús, the ‘Lava restaurant’ is a budget-friendly restaurant next to the harbor in Olafsvík. The small, wooden house has a warm and cozy atmosphere with a nice view from the terrace. Fresh seafood, pizza, hamburgers and lamb steaks are on the menu. Kaldilækur café is your best option if you are hungry for a slice of apple cake or a homemade lamb stew. Guests love it for its homely atmosphere, friendly and personal service and yummy sweets and soups. With its amazing location in the Fishermen’s Garden, the exciting outdoor exhibition, it is a must-visit place. 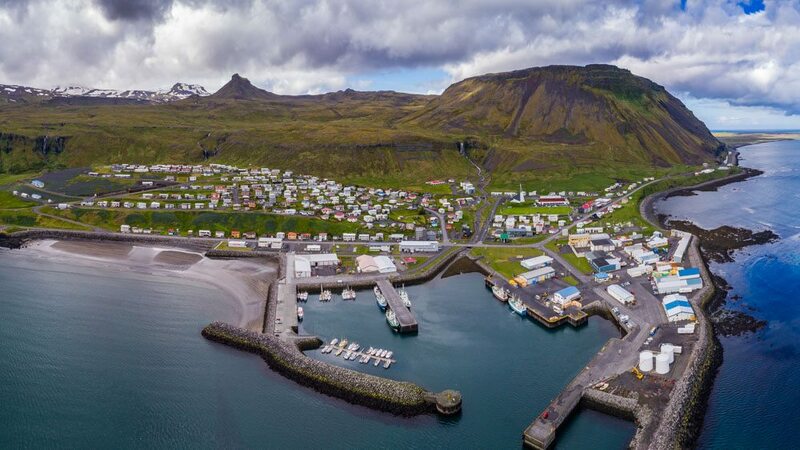 Grundarfjörður is one of the most beautiful villages on this peninsula, it is located on the northern coast in an utterly dreamy setting. The famous mount Kirkjufell ‘Church Mountain’ is an absolute must-visit place, especially for Game of Thrones fans. Bjargarsteinn Mathús is probably the best restaurant in Grundarfjörður, located in a nice building which is around a century old. The house was actually transported 140 kilometers from Akranes to its current location in this lovely seaside town. The open-air dining area offers priceless views of the mountain and the breathtaking fjord. The chef has received international awards for his culinary skills. He truly knows something about creating culinary wonders, I say let the reviews speak for themselves! Do not drive on without stopping for a bite, is my advice! Café Emil is a delectably cozy family-run café in the heart of Grundarfjörður. It is an information center with a historical exhibition and the local library all in one tiny building, but it works brilliantly. Homemade soups and home-baked cakes are served, with a good range of beverages on offer too. This adorable place has a heartwarming and relaxed ambiance, where guests can enjoy the local food, have a cup of good coffee, get information about the area, check out the museum and even play some music. If you are in a hurry, or just want to try the most common Icelandic street food, just make a quick stop at the Meistarinn hot dog stand. Do not leave Iceland without trying a hot dog at least once! The largest town on the Snæfellsnes peninsula is Stykkishólmur, the capital of this area. 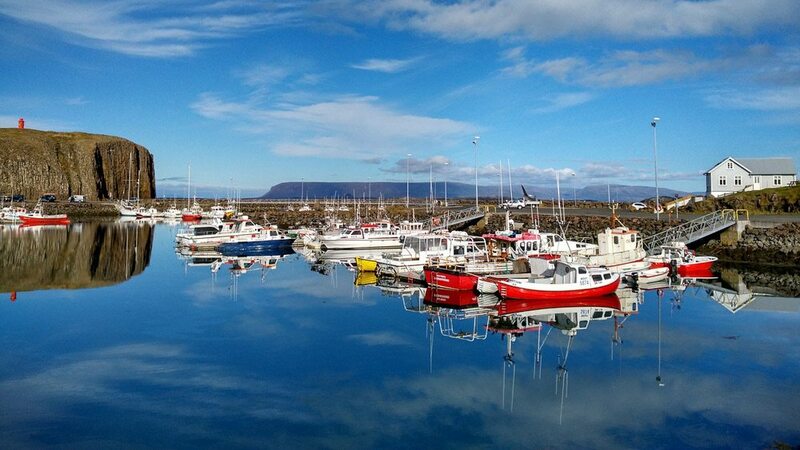 It is known as the gateway to the Westfjords for those who prefer to take the ferry across Breidafjörður, a stunning fjord with countless tiny islands. The adorable and very colorful old houses adorning the town give it a really special atmosphere. Sjávarpakkhúsið ‘The Ocean Goods Packing House’ used to be a warehouse storing bait and fishing gear in the olden days. This building has been very nicely renovated and recently it has been run as a seafood restaurant. 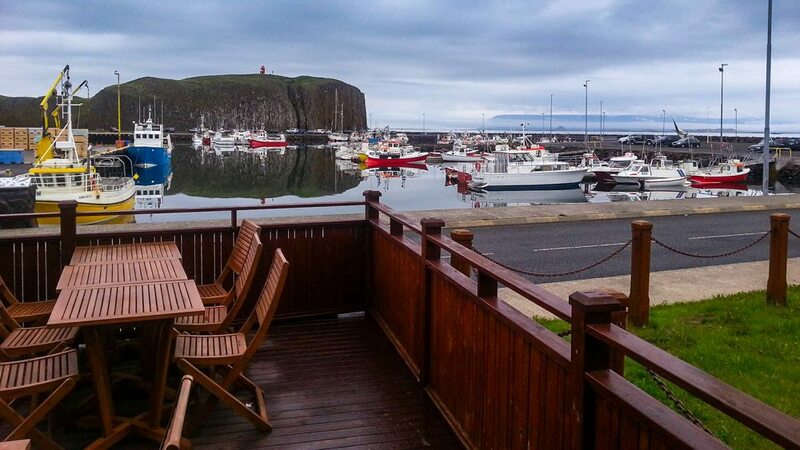 This restaurant is located directly by the harbor in Stykkishólmur, with a great view of the boats from the terrace. The interior is very appealing, with authentic old photos of the local fishermen lining the walls. The short menu emphasizes fresh and locally sourced seafood, such as cod, mussels and scallops. Beautifully presented, tasty, and above all authentic local food. 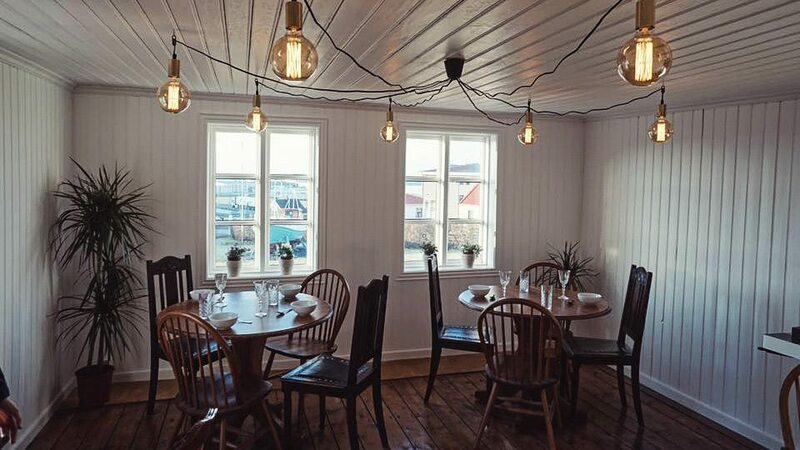 Narfeyrarstofa is a charming gourmet restaurant, located next to the old church, close to the harbor in the heart of Stykkishólmur. With a history which is almost two decades long, this restaurant has garnered a very high reputation so far. Celebrities like the Crown Prince of Denmark and his wife have dined here. Using the best quality locally sourced ingredients is their hallmark. 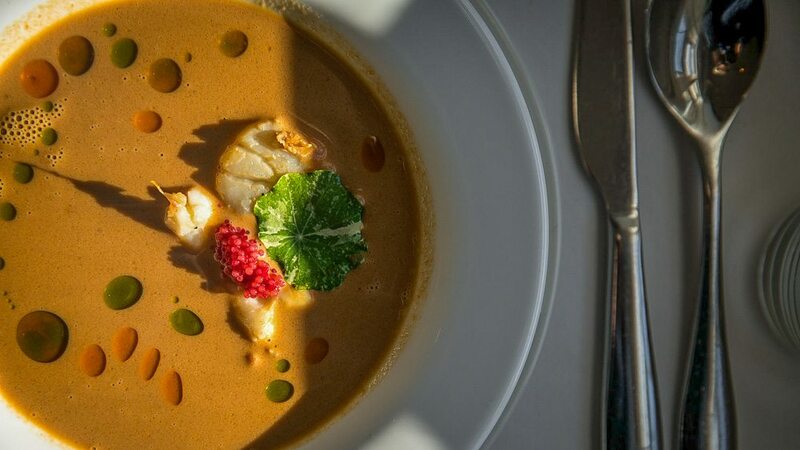 The seafood comes directly from the bay at Breiðafjörður, with great emphasis on mussels and scallops. The remarkable green building is more than a century old, it used to be a residential house. The restaurant is candlelit with an intimate atmosphere. To enjoy the soft and romantic antique lamplight and fine harbor views request a table on the second floor. Skúrinn is just the place for hungry travelers who just want a simple but perfectly good and filling burger and fries, salad or sandwich. This cute little yellow house has fun vibes and good food. Which ones would you try right now? 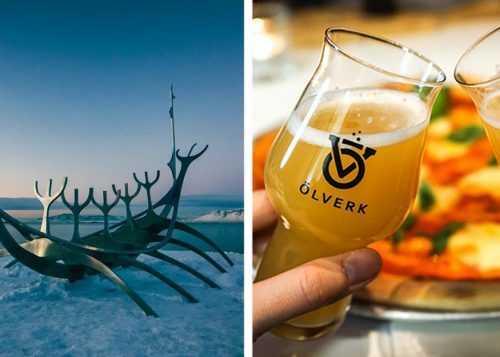 What to do in and around Stykkishólmur town on the Snæfellsnes peninsula? Here Kay gives you tips and tricks on how to enjoy your time in and around the beautiful town of Stykkishólmur.